The criticism of Garda management contained in the report by the Dáil’s Public Accounts Committee (PAC) is entirely warranted. It is further evidence that root and branch reform of An Garda Síochána is now a political imperative. The PAC found that even though a significant number of senior personnel were aware of financial irregularities in the Garda training college in Templemore over a significant period of time there was a systematic failure to take the necessary decisions to resolve the issues. Worryingly, the committee found there was a practice within the Gardaí of failing to share vital information with the internal audit team, the Department of Justice and the Comptroller and Auditor General. The PAC report, which followed weeks of hearings on the issue, also found there was a notable absence of a sense of common purpose between senior managers. The report points up the fact that two senior members of management had their reporting structures changed when trying to raise irregularities at Templemore. The PAC also expressed serious concerns about the level of oversight exercised by the Department of Justice over the gardaí. Garda Commissioner Nóirín O’Sullivan is taken to task for not informing the Minister for Justice of concerns about funding at Templemore in July 2015. It also concludes that delays in getting the department to sit on a steering group examining the finances at Templemore “does not support the Garda Commissioner’s view that she took decisive action.” It says the Commissioner should put in place a system that will ensure all employees feel free to raise issues of importance without risk or perceived risk of penalty. Predictably enough, some headline-grabbing members of the PAC rushed out immediately to call for the Commissioner’s resignation rather than focusing on the need for more fundamental reform of the force. In recent years the PAC has damaged its own reputation by the publicity-seeking behaviour of some of its leading members when it comes to questioning witnesses. This tendency was in evidence again during O’Sullivan’s testimony. Nonetheless, the committee’s report was carefully worded and entirely justified in its damning conclusions. 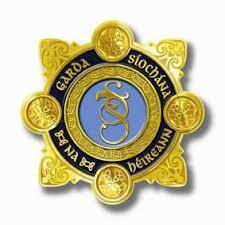 It is now up to the Government to act on the various reports that have shown up the inadequacy of the Gardaí in recent years. The Commission on the Future of Policing in Ireland, chaired by former Boston and Seattle police chief Kathleen O’Toole, has just begun its work. It is empowered to make interim recommendations on urgent matters in advance of its final report in about 18 months’ time. The problem is that the Garda is in need of urgent reform now. This can must not be kicked down the road until 2019.